SEVENTY years in business have given the nation's third-largest livestock transport company a clear understanding of what is important. For Frasers Livestock Transport it's all about maintaining long-standing relationships and embracing new technology. Established in Warwick in September 1944, Frasers is one of the country's oldest livestock transport companies still operated by the founding family. Charles Missen Fraser and his wife, Edna, started the business the year they were married, financed into their first truck - a Ford that still boasts pride of place in the FLT complex - by Charlie's grandfather, who lent them "a hundred quid". As the family story goes, he prophetically declared "you never know, Charlie, one day you might own a fleet of these." Business initially revolved around carting wheat, hay and fence posts, then longer trips carting local chickens to a Woolloongabba abattoir. Frasers principals Ross, Peter and Les Fraser welcome third-generation Warwick Fraser (front) to the family livestock transport operation. By the 1960s the business had grown to a fleet of trucks as the second generation of Frasers joined the family business. Today Ross, Les and Peter Fraser are at the helm. All three started working stock in saleyards as schoolboys and spent years "riding shotgun" and driving before stepping into hands-on management roles. 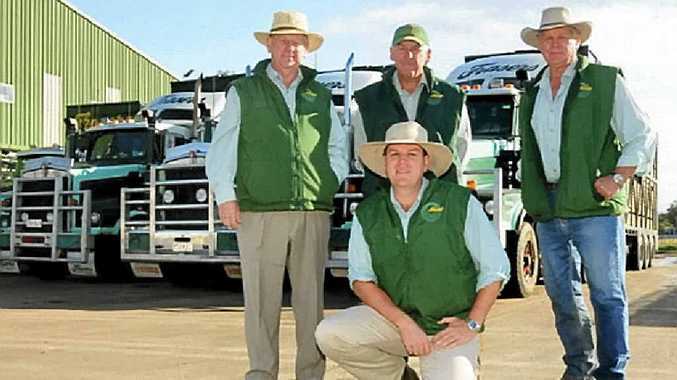 At its core, Frasers Livestock Transport remains very much a family business. In early years, Charlie and his sons drove while the books were kept by Edna and, later, Maryanne and Robyn Fraser. For the past 20 years, Donna Fraser has been responsible for marketing, advertising and website development while third-generation Warwick Fraser is now in operations. A lot has changed in seven decades. Frasers currently operate a fleet of 50 Kenworth prime movers and 150 trailers in single, double, B-double, B-triple and road train configurations. Their total one-time uplift capacity is 250 decks of cattle. The Fraser fleet annually covers some nine million kilometres carting more than four million head of livestock - 80% cattle, the balance sheep and pigs - between properties, abattoirs, saleyards and feedlots across eastern Australia. Frasers believe that good staff are key to their business growth and success. "Business is about people doing business with people and ours is no different," Ross explained. "We have some terrific young staff, along with some third-generation, and currently a father-and-son team driving: Having good people is critical to our business." Today, Frasers employ 110 staff in administration, workshop and driving roles spread from their Warwick base to depots at Gracemere, Roma, Dalby and Goondiwindi. Frasers line-up at the Warwick depot provides a photo opportunity. It is not only staff loyalty that underpins the Frasers operation. 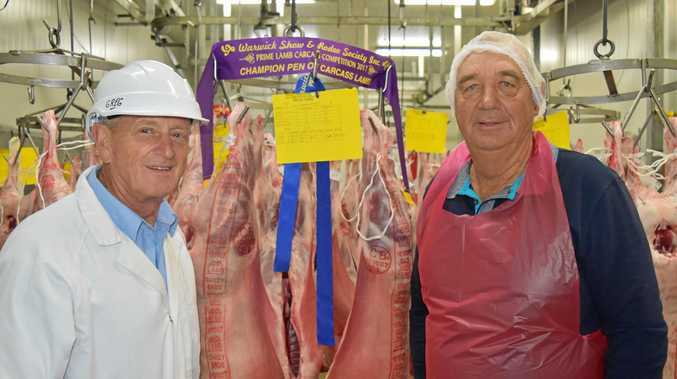 The Company has long-standing relationships with producers dating back to the start of the business: The grandfather of current National Farmers Federation president Brent Finlay used Frasers to shift sheep from the Pikedale district in the 1950s and the business relationship between the two families continues today. These days Frasers count some of the country's major beef producers - Australian Agricultural Company, Acton Land and Cattle, Napco and Consolidated Pastoral - among their client base. Ross Fraser describes his parents as entrepreneurs who saw an opportunity and built a business with the goal of handing it onto their sons. "When we became involved in the business, we were using 20-foot body trucks and 34 or 36 foot trailers," Mr Fraser said. "There was no double-deck, three- or four-deck sheep work or road trains. "We pushed for change because we could see the opportunities and efficiencies." 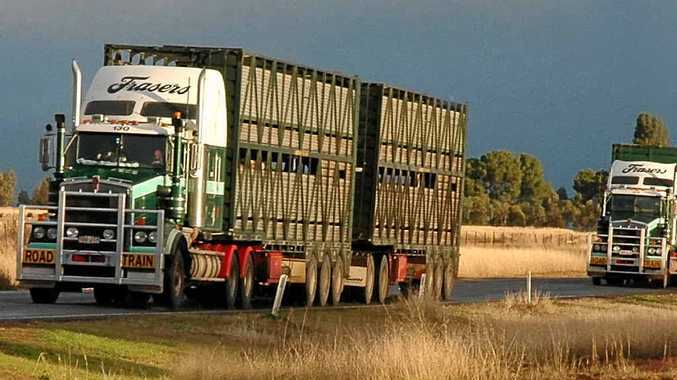 Improvements in airbag suspension, crate design and trailer technology have made a significant difference to livestock transport, along with Frasers' introduction of GPS tracking which allows centralised operation monitoring and route-tracking. 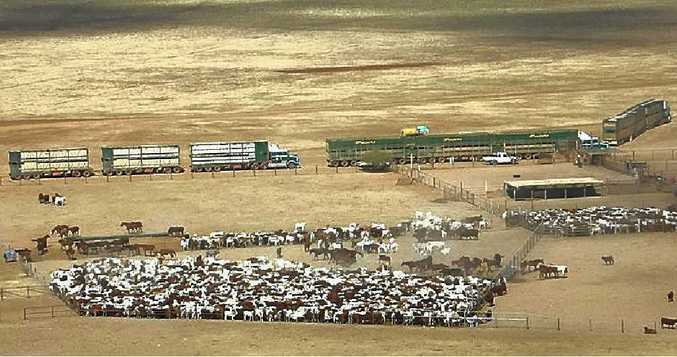 Frasers B-Triple and roadtrains load Acton cattle on Barkly Downs in the far north. "The GPS MTData system is impressive, I can log-on via my iPhone and locate any one of our trucks, at any time, Ross Fraser explained. "Our mechanics can monitor engine-management and on-board computers relay detailed reports on acceleration, braking and cornering, all of which helps improve safety and overall fleet maintenance." It's this willingness to embrace technology and initiate change that has taken Frasers to the forefront of the livestock trucking industry. In 2013 the Company won the Queensland Safe Work and Judges' awards for an innovative cross-loading ramp designed and fabricated in their Warwick workshop. It's a fitting example of the innovative approach Frasers have for their business: "You have to be prepared to embrace change when it improves efficiency," Mr Fraser said. It's an approach they also bring to the personnel-side with Les's son, Warwick Fraser, the third generation to join the business. "We love seeing young people become involved in our industry: It's good for business and you have to look to the future," Ross Fraser said.